There are 34272249203281472 kinds of hummus out these days. That’s because not only has it picked up serious popularity in the US and around the world, but there are just so many different ways to make and flavor hummus. The meaning of hummus has changed a bit with all those variations. Traditionally it is made with chickpeas, tahini, olive oil, lemon, herbs, and spices. Today a ‘hummus’ could refer to that traditional preparation or really to any spread/dip that contains beans. Traditional hummus people may be offended that anything not made in the traditional sense would be called a hummus. Understandable. And maybe those other spreads aren’t really hummus. But, ‘hummus’ sounds a lot better than ‘bean spread’, and at least for me, they are similar enough. So, this recipe is getting named ‘hummus’! 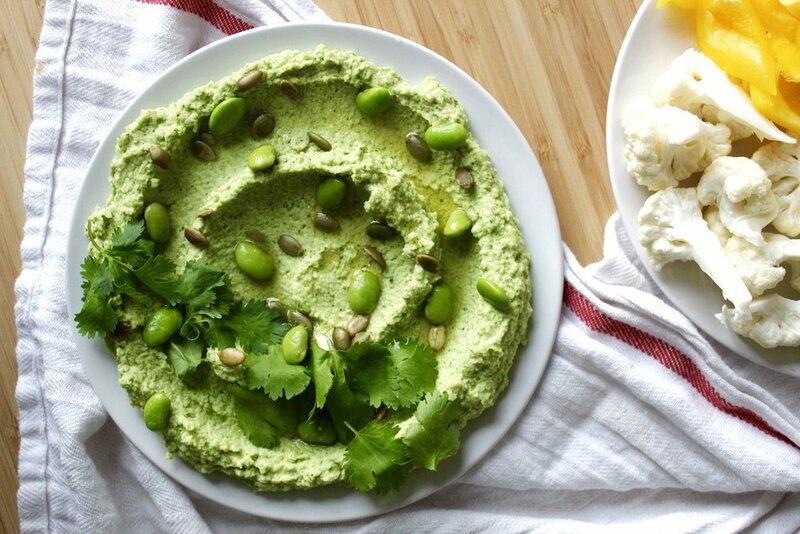 Edamame is the backbone of this hummus. There are also some white beans, and a few flavors that take this dish into a Latin direction. Not only does this version have a cool green hue, it’s packed with good stuff like protein, fiber, heart-healthy fats, and all the vitamins and phytochemicals that come along with plants. 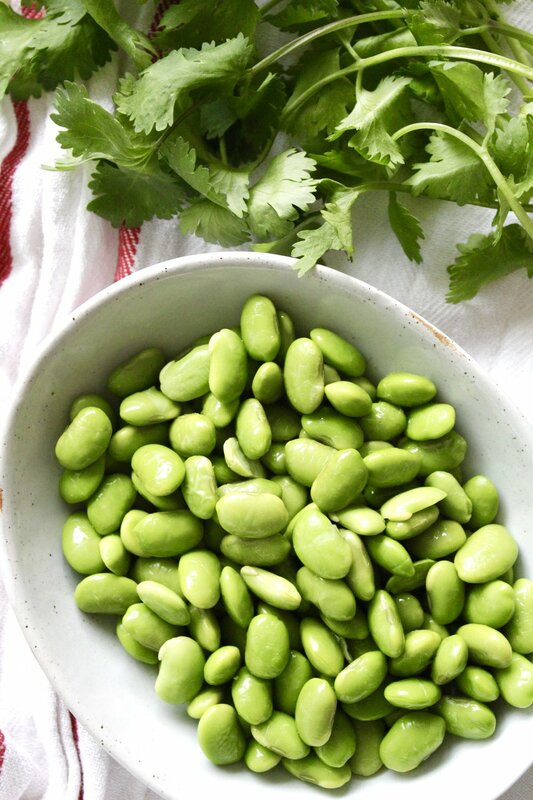 Edamame is one of my favorite beans to work with. It has a distinct taste unlike any bean with a rich, and at times cheesy, flavor that makes it fun to play with in dishes. These little green beans are also unlike others because they are higher in protein and fat, and lower in carbohydrates. Using edamame makes this hummus a great high protein alternative to traditional hummus, which typically has much less protein. It’s got bright, fresh flavor that goes great with veggies, crackers, or anything crunchy that can get it from the plate to your mouth. Need something to bring to a certain reoccurring Sunday afternoon get together over the next few months? Here’s a hint. Combine all ingredients in food processor with a big pinch of salt and a few grinds fresh black pepper. Blend, pushing down as needed, until a smooth consistency is reached. Try and add salt to taste if needed. Spread on plate or put in a bowl. 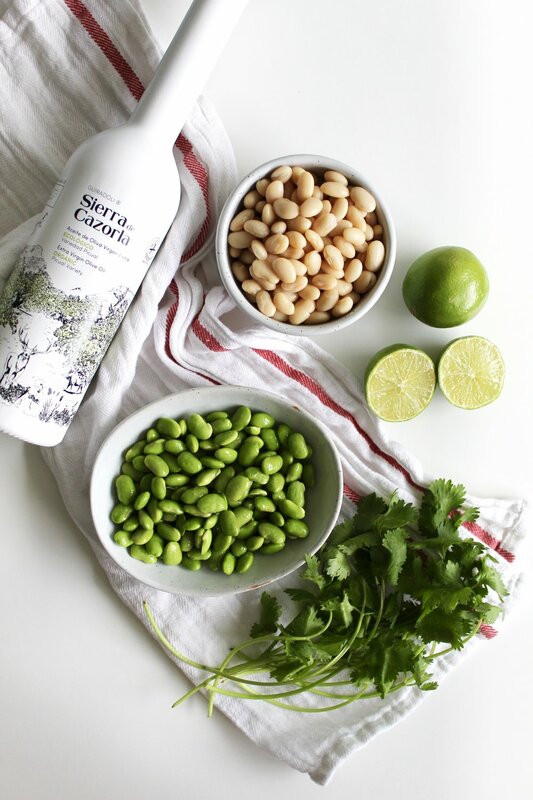 Garnish with a little olive oil, cilantro, pepitas, and a few whole edamame. Serve with veggies and/or crackers. Extras will keep a few days in the fridge.